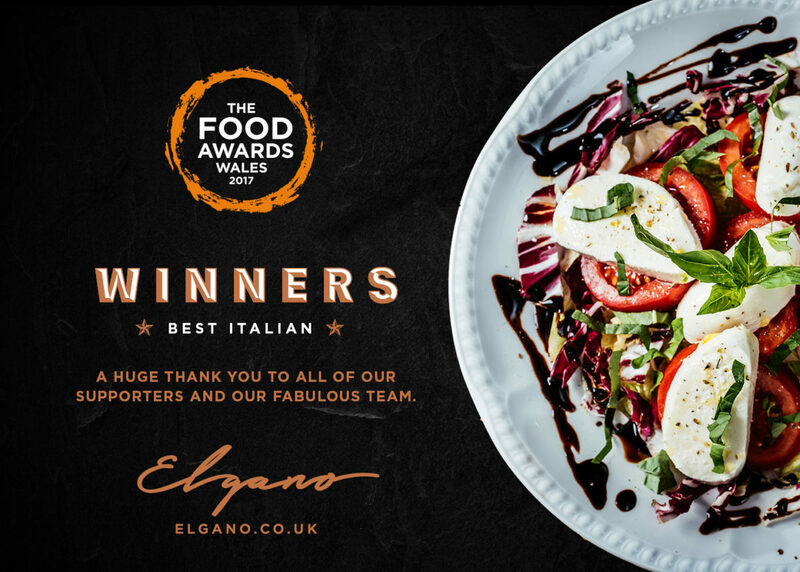 We’re pleased to announce that we have been awarded the “Best Italian Establishment” by the Food Awards Wales! We’d like to send our deepest gratitude to all those who have supported us and of course our incredible staff for making it possible. So why not join us for Lunch or Dinner to see why we’ve been voted the BEST ITALIAN in Wales. To book please visit elgano.co.uk or call 02920 344060.